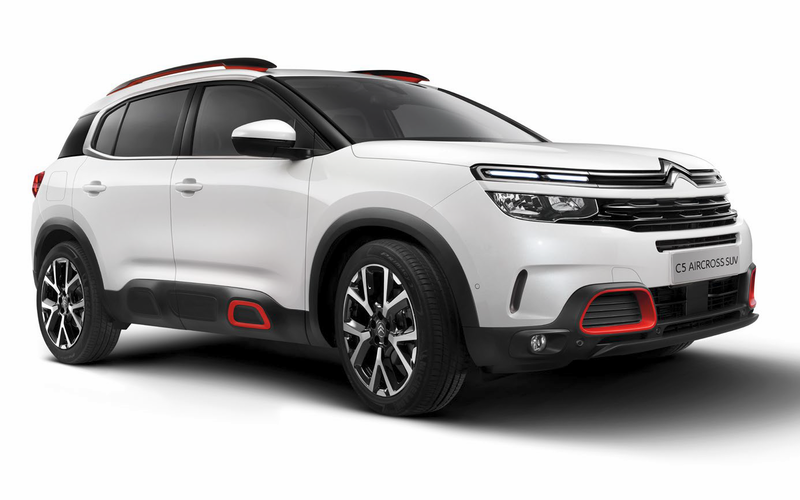 Strong and assertive, New Citroën C5 Aircross SUV features large wheels, raised ground clearance and the iconic Airbump®. It has an SUV presence without aggression. With 7 body colours, optional black roof, 3 colour packs and 4 alloy wheel designs, it’s easy to create your perfect personal look. Suspension with progressive hydraulic cushions® - Exclusive to Citroën, this system delivers a real flying carpet ride. Uniquely welcoming and comfortable, these advanced comfort seats make the interior feel more like a contemporary lounge. With individual rear seats that slide, recline and fold away altogether, this is the most flexible SUV in its class. Roomy and versatile, New Citroën C5 Aircross SUV has the biggest boot in its class. With improved connectivity for your personal devices, you can stay connected with your car. Welcome to a haven of advanced safety, including Highway Driver Assist – a big step towards semi-autonomous driving.